Lund Cultural Night – was held for the 36th year on Saturday 19 September 2015. Among cultural activities of all kinds, a couple were connected to South Asia. The organisation Lund Bauls, led by S.M. Shahriar Shakil, Research Assistant at the Faculty of Engineering, Lund University, and himself an excellent interpreter of traditional Baul music, organised an event entitled ”A Tribute to Damien Rice & Lalon Shai”. Lund Bauls is a folk and fusion based musical group emerged in Lund during past few years, mostly influenced by folk music from Bangla, British and also from around the world. It was held at Restaurang Spice and Curry at Vårfrugatan 8A (Botulfsplatsen). It was formed as a tribute to two of the most influential folk musicians, Damine Rice & Lalon Shai. Later, at 22.00, the Lund Tagore Choir performed for a large audience with a new programme in Allhelgonakyrkan. This was be their third Cultural Night concert in this location. This year, eminent saxophone player Ed Epstein was a guest artist. 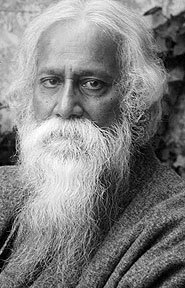 The choir was formed in 2012 and is led by Bubu Munshi Eklund, and its concept is unique – a choir with a majority of Swedish people singing the songs by Indian/Bengali Nobel Laureate poet and composer Rabindranath Tagore (1861-1941) in the original Bengali language.